The basis for this study is a comparative analysis of theme parks in China opened before the twenty-first century and those opened during the twenty-first century. Literature review, field surveys, data collection, personal conference records, and deep interviews are integrated into the analysis. Prior to the twenty-first century, China's native theme parks were known for very short life cycles—popular in the first year, prosperous in the second year, declining by the third year, and extinct in the fourth year. Despite this trend, in the early twenty-first century, China has seen another round of considerable expansion. Theme parks have become a beneficial supplement to the entire tourism industry. Most of them have received large investments, and have diverse theme types and elastic location distributions. They mostly have expanded from being stand-alone attractions to forming large-scale tourism complexes and industry agglomerations to enhance their competitiveness. The most significant variation is the integration of theme parks and urban development. This paper addresses the rationale for changes in theme park development, from a traditional resource-based model to a market-oriented model, and in particular the integration of theme parks and urban development from the perspective of external effects. To download, please enter the password "apw2010" on the next screen. 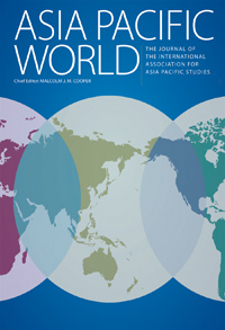 The IAAPS' journal, Asia Pacific World: The Journal of the International Association for Asia Pacific Studies is a scholarly, internationally refereed journal.